In this article, you will learn about the lead campaign we have conducted for a client from the medical industry. Snoring… As much as 70% of men above the age of 40 suffer from this condition. Unfortunately, many of them are unaware of it and don’t seek medical help, despite the adverse effects that snoring has on the quality of sleep and their overall wellbeing. The health risk can be very serious especially in persons with sleep apnea, which is a potentially life-threatening disorder. The condition is also an issue for the ones who sleep next to a person snoring. As much as 260 hours of sleep can be compromised, which constitutes as much as 33 restless nights per year! How can we persuade a person with the snoring problem to seek medical treatment? That was the task that our Customer has set us. As a result, adCookie created a unique online marketing campaign that brought as much as 800 valuable leads in less than six weeks. Medicus Clinic Dolnośląskie Centrum Laryngologii is a clinic that offers professional laryngology treatments and procedures. In its latest marketing campaign, Medicus Clinic DCL aimed at reaching people experiencing snoring and showing interest in treating the disorder. The main goal of the agency was to get through to them and obtain their contact information. It is the life partner of the person that snores who realizes first that the problem exists. The creative concept of adCookie consisted of creating a unique website where users who are supposedly affected by snoring or the people close to them could learn more about snoring treatment options. They could further leave their contact info, book a consultation with the doctor, book the treatment itself, refer a friend that snores or fill out a survey. Before the campaign launch, there were a few versions of marketing creatives made and A/B tests were conducted. For this lead campaign, the agency decided not to use the standard CPL model, focused on leads solely. 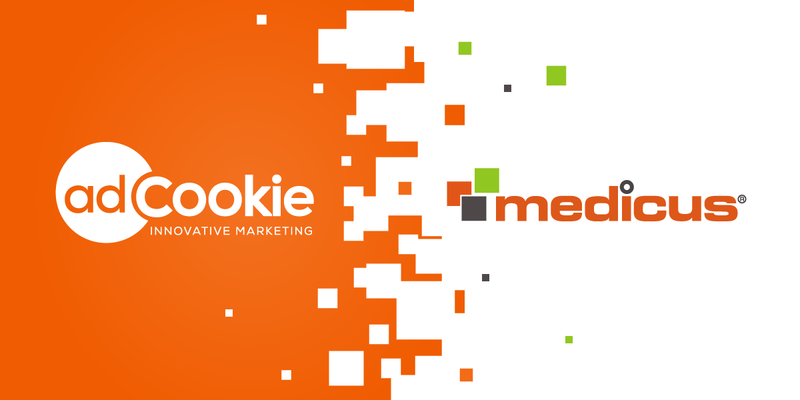 AdCookie based the whole campaign on the diversification of advertising forms (AdWords, Display, Retargeting, Facebook, Mailings, etc.) and a custom-made action optimization scheme. Diversifying communication channels: local and thematic websites, RTB, audience targeting, Google search engine, remarketing, Facebook and email marketing. Following up on the individuals leaving their contact info and booking them for an appointment at the clinic. At the very heart of the lead campaign, there was an innovatively designed landing page, where the user could not only obtain information on the treatment options but was also invited to complete a survey on the quality of their sleep. What’s more, the landing page was also designed to make the partners of people suffering from snoring interested in the issue. They were also enabled to send a request on behalf of the snoring partner to be professionally diagnosed and analyzed. To reach the people whom the problem of snoring may concern, two various animated creatives were prepared. Before launching the campaign, adCookie conducted A/B tests to determine which animation draws more attention, gets more clicks, brings better quality traffic and thus giving us better overall results of the campaign. All the following marketing graphics needed in the campaign were later created accordingly. A non-standard, eye-catching animation was chosen that at the same time clearly communicated the message. As a result, the people clicking on the advertisement were the ones genuinely interested in the service. Google Analytics – implementation of the current GA code and its full configuration, along with the implementation of a custom measuring scripts. The script measured various non-standard actions performed on the landing page, such as analysis of the copied text from the page content, measuring the moment of leaving the page (closing the browser tab), which section the page scrolled to, marking the survey field that the user reached, which survey questions they answered. All this information (and much more) was transferred to Google Analytics. Traffic / UX study – connecting tools analyzing the traffic on the site: clicks heatmaps, scrolls, and user visits. Tag manager – a tag management structure. Implementation of remarketing codes, measuring the conversions and actions on the website. „Keeping all the different aspects of the campaign under control – from communication to creation, through landing page and communication channels – we decided to opt for the CPC settlement model, instead of CPL. Settlement per click gives us much greater control over where the ads are displayed and what is the actual cost of a click/display for a given medium. The ability of precise ad targeting and lack of motivated traffic enabled us to achieve a very high quality of the generated contacts. We were also able to display the ads on quality websites, what led to increasing the awareness of Medicus Clinic DCL among the potential patients. What’s more, the diversification of media and targeting forms allowed us to optimize the campaign on an ongoing basis and to lower the cost per conversion, which was every contact form filled out. 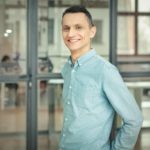 In order to better evaluate the effectiveness of our actions, we installed measuring tools, and wrote a custom script transferring all the additional information to Google Analytics” – commented Krzysztof Karmiński, the Programmatic Buying Manager at adCookie. As a result of a well planned and well-implemented advertising campaign, we not only achieved what we aimed at but also exceeded the expectations. Throughout the course of the campaign, adCookie gained 811 valuable contacts from people interested in the treatment of snoring. „We’re really satisfied with the results of the advertising campaign that was carried out. Apart from an overall increase in the services offered by Medicus Clinic DCL, we gained over 800 contact data from people interested in the treatment of snoring, directly as a result of the campaign. From the leads acquired during the campaign, a few hundreds of people booked a laryngological consultation or treatment, and the rest of the people regularly contactecad our clinic for several months after the campaign had ended” – said Dagmara Lejszys, The Director of Marketing Department at Medicus. This case study doesn’t feel relevant to your business? Check out our case study for a real estate sales campaign and a case study of an influencer marketing campaign for a cosmetics brand.